Basseterre, St. Kitts – The prime minister and minister of national security, the Honourable Dr. Timothy Harris, said that the recruitment of a national security advisor in the person of retired Maj. Gen. Stewart Saunders of Jamaica is in fulfillment of the requirement of law and the constitution of St. Kitts and Nevis. Addressing the National Assembly on Tuesday, the minister of national security placed on record that by appointing a national security adviser his government is “satisfying a legal obligation to uphold the law.” He pointed out the importance of the post, noting that the “national security adviser is a public officer and the chief professional adviser on national security matters in the Office of the Prime Minister, and is appointed in accordance with Section 79 of the constitution of St. Kitts and Nevis. Harris noted that the vacancy was advertised from Nov. 29, 2016, to Jan. 16, 2017, in major newspapers, over radio stations, in print and electronic media, and online, particularly through SKNVIBES. He noted that three people applied for the post and “functioned too low on the hierarchical structure of their organization in which they last worked or were presently working to bring much in terms of leadership and experience,” Harris said. He further added that the government made a decision to reach out further in the region for support and assistance and “consulted with the Regional Security System (RSS) and the CARICOM Impacts, as well as the federation’s missions overseas and solicited their assistance in encouraging suitably experienced and qualified individuals to apply,” noting that the second batch of applications produced two new people with very strong recommendations. Harris said that Saunders brings a wealth of knowledge and experience as it relates to national security. 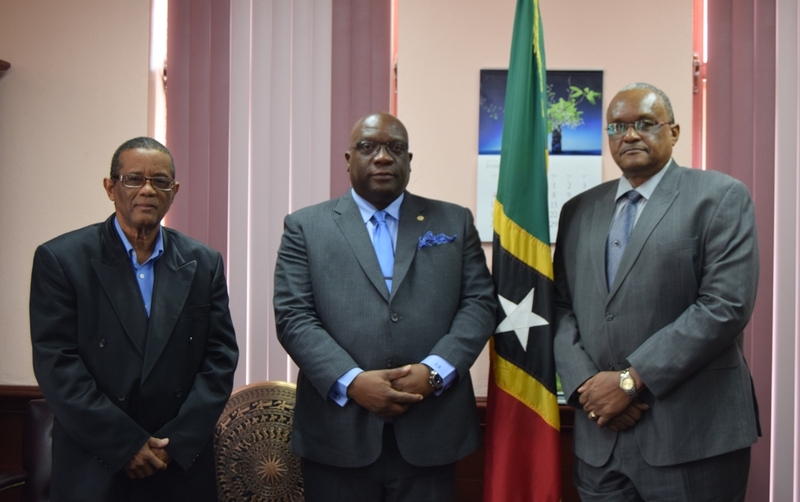 The prime minister noted Saunders’ commitment to work with the federation and has emphasized that St. Kitts and Nevis needs a holistic approach to crime fighting. “He has said to the interview panel drawing on his experience he would not want St. Kitts and Nevis to make some of the mistakes that Jamaica did,” Harris said. “There must be a humanistic approach. There is a need to change the mindset of children in the formative age group – primary schools must be targeted for action. They must be taught that some of [people] who they perceive as mentors (e.g. gang members) are not appropriate mentorship.